Aggregators combines 8 client channels Gigabit Ethernet, SDH STM16 (or their arbitrary combination) in two line channels OTN OTU2, 10 Gbit/s. 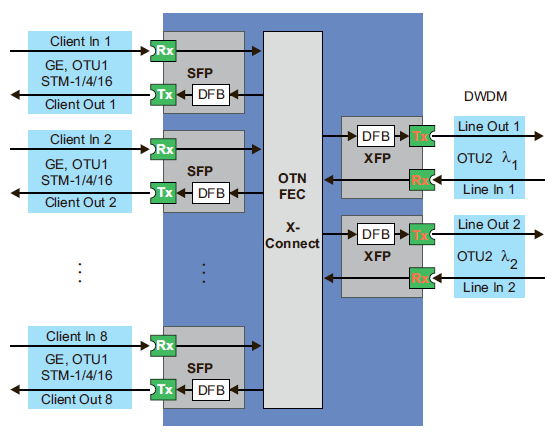 The device supports cross-commutation on the ODU0/ ODU1 level. Aggregator performs 3R-regeneration of the signal, and error correction according to G.709. Two types of line interfaces are supported: XFP-modules and tunable lasers.